Michael – Has Billy talked or given information on where on the face of planet earth is a relatively safe place to live in these times? Where can I find this information? As I recall, Meier said that parts of the southern hemisphere, in South America, Australia, etc., would probably be better than the northern hemisphere. In North America, an area within a 200 kilometer radius of Flagstaff, AZ was mentioned, in the 1980s, as a good place for a North American FIGU center. Also, please use your first and last name when submitting comments. Thanks. He said that the cities built under the ocean cited as a new place to live by extraterrestrials in contact report 251 or 215, should be advice to follow as and when they offer it, or not depending on the dude or guy you are at the time and depending on how you feel about stuff, but Billy said that someone will build a city there anyway. Michael my comment about ageing was better please accept that one instead, I spent a lot of time getting a reference and then nothing happens. I take the time while I’m traveling to moderate my blog and decide which comments are off-topic, etc., snd which get posted. That is understandable, I think every blog you do from now on should revolve around that one single controversy and orbit it then, that our lives are ten times shorter than they should be to avoid cancer and delirium. It’s the only controversy to me that matters for you to cover, and Billy Meier has taken the time to present the various details has been the only rare case of man that I can find so far who makes any sense with the courage to identify the various specifics, reality based thing, about the biggest conspiracy no one has ever known because of the delirium and cognitive dissonance including being the equivalent to a Plejaren child in age, when they die of old age. My personality is just not strong enough to announce this in any meaningful way to anyone, although my head buzzes with constant thoughts. Will you feature it in your blog sometime, if it resounds with you, by making it a feature so that more people can see it? I already feel like a coward for asking, because wonder if it will put heat on you instead of myself. But I just have no natural talent or aptitude for making a big presence online or in person and am constantly beschimpft as a fool. My personality is still often about quiet as a mouse and I have no sense if my expressions and mannerisms can even rightly called to belong to myself or if my life is a constant impersonation of others. Which may make for an interesting life but bugger if it gets many folks to take a guy seriously, when most of his vocabulary and vernacular are obtained from stories and fables. Thanks and please provide a verifiable identity and use your full, real name. I’m not sure if you are aware of this but USA Astronaut Gordon Cooper in August 26 of 1995 claims that Billy Meier’s beamship photos are “absolutely authentic”, here is the video, he(Cooper) starts to talk about Meier’s photos at 58:18-59:30. Thought you might find this interesting. I will ask this question again . Why are all the groups and individuals who are in contact with aliens fragmented ?It’s time that we all united . Can you name anyone other than Billy? Is so can you provide links so we can all check it out ourselves? You should be able to provide proof, does this person have pictures, videos, sound recordings, metal samples and volumes of contact reports and of course the most important spiritual teaching? I doubt Billy was talking about them when he said we are the Smiths of our own destiny, pun intended. Where is the proof other than channeling? I see that I let an erroneous claim get posted in Brian’s comment. To be clear, there are ZERO other “groups and individuals who are in contact with aliens”. What is fragmented is the consciousness of those who make their idiotic claims…but who have absolutely NO evidence to support them. Further, I just clicked on the linked site where these two people claim to be channeling non-existent “Pleiadians”. I invite them to now present actual…evidence of ANY contact with ANY extraterrestrials. Should they be unable to do that, I request that they take down their site, withdraw their claims and apologize for misleading people. Of course the danger to the consciousness is manifold when channeling is involved. Maybe the Smith’s destiny involves a straight jacket? Yes it is interesting that they use the term ” Pleidian ” speaks volumes. The wisdom of Dyson. How we miss him. Is he doing okay? I was thinking you should (with the help of your former OSI agent friend Joe) make an new documentary that brings in photographic experts to re-examine Billy’s photographs and videos. I know that this was already done in the past, however by enlisting new experts to analyze the case you could debunk some of the new claims made by the skeptics.To do this, you could ask your friend Joe if he knows someone or has any connections that could be of assistance. He (Joe) could be a lead investigator in the documentary.You could try to get in contact with new experts and see if they could analyze Billy’s photos and videos. In terms of funding, you could set up a GoFundingMe account or a patreon account both of which are easy and free to do. It really isn’t necessary to go to all that trouble. I don’t know about new claims by skeptics but the 1964 evidence is the gateway to establishing the authenticity of the claims, evidence, etc. …it’s obvious that if no credible, substantiated rebuttal to this evidence is presented, the skeptical argument is over. The fact is that none has been, nor will ever be, presented. The real problem for people who are presented with this information and don’t realize its significance, is that they are simply willfully stupid. That’s not a “personal attack”, it’s all that can honestly be said about the rather said, dumbed down population, which has succumbed to shallowness and embraced every bit of idiocy provided to them online. Please tell me the name of the Soviet Spetznatz DVD that I owe you and the address to mail it. I’m not exactly sure but if you have one in your DVD collection…that must be it. I already wrote a long comment which disappeared into cyberspace. I need Billy Meir’s contact information. We know each from the time I purchased your Swedish apparatus to hang upside down. I am leaving for Switzerland in the next couple of months. 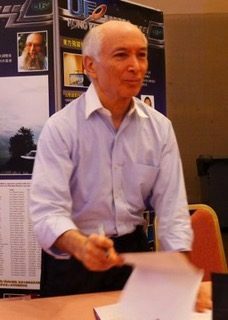 My deceased X-French husband, a contactee from earlier than 1972 lived in Switzerland and visited Billy Meier, according to C2C guest speaker, medium Mark Anthony. I plan to visit his grave in Crissier, Switzerland and hopefully Billy Meier. I was contacted by Sicilian contactee Eugenio Siragusa in Paris, France 1972. I don’t know what happened to that comment, please feel free to re-post. As for your other questions, you can contact FIGU at info@figu.org. I don’t know about Mark Anthony or your husband’s claims but, according to Meier and the Plejaren, there have been no other such so-called “contactees”. Siragusa is also considered an outright fraud. While sometimes people get upset that all these people claiming contact, etc., are referred to as frauds, liars, charlatans, schizophrenics, profiteers, etc., not a single one of them has EVER produced ONE single piece of actual, authenticated evidence to support their claims.